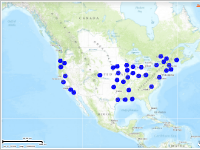 Use this map to begin exploring observation data of malformed frogs. 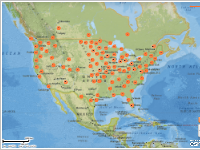 Investigate where in your area malformed American bullfrogs have been observed and recorded while gaining an understanding of the fundamental tools available to you in Fieldscope. 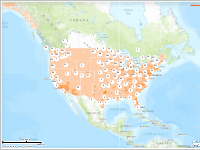 Explore the distribution of malformed American bullfrog observations across the U.S.
Use these maps to explore the distribution of malformed frog observations across the United States in relation to impervious surfaces, land cover, population density, parks and wildlife refuges. Explore malformed frog sightings in relation to impervious surfaces and developed land. Explore malformed frog sightings in relation to population density. 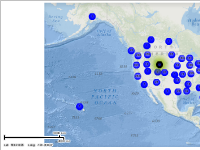 Explore malformed frog sightings in relation to parks and wildlife refuges. Map of all sites (not cleaned up) for the CU Museum of Natural History BioLounge.